As a special thanks to our Facebook friends and family, we’d like to extend our offer of a free breakfast with your stay at Seawind Landing. When you book directly with us, just mention you saw us on Facebook and we’ll give you a $25 voucher for breakfast. Click here to book online directly with Seawind Landing. Give us a call at 1-800-563-4667 for help with planning your Nova Scotia vacation! 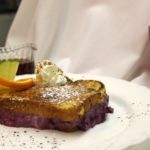 While you’re here, enjoy our signature Blueberry Stuffed French Toast Brulee or any of our fresh and tasty breakfast items from our menu. Dinner is served nightly from 6:00 until 9:00 PM in our seaside dining room. Panoramic ocean views, affordable rates, great food and warm hospitality await.